The HIRZL GRIPPPTM technology in combination with kangaroo leather always guarantees you the complete control of your handlebars and safe feel in every weather condition. The light softshell membrane on the back of the hand is water- and wind repelling. Additionally the kangaroo leather on the palm is PrimaLoft® lined, to ensure that your hands always feel comfortable and warm by riding the bike. 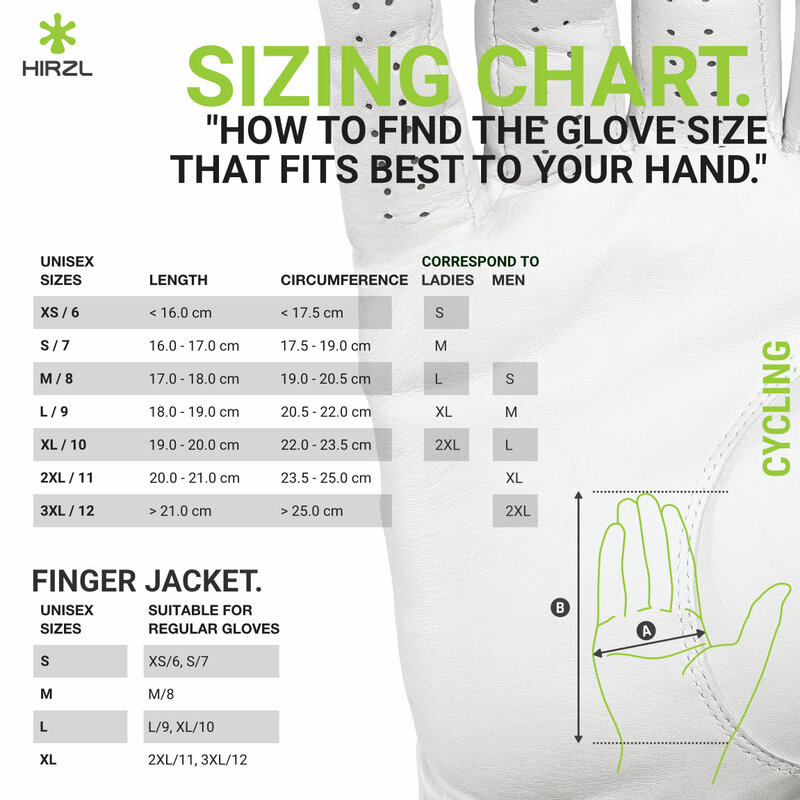 The benefits of this high performance glove are rounded off by features like the knuckle stretch inserts on the ring & middle fingers, the pull-on system, the microfleece thumb wipe and the touchscreen finger. Ultimate Grip in dry, humid & wet conditions. Softshell membrane & PrimaLoft® lining palm. If you have to decide between two sizes, please decide for the larger one. Please do not machine wash, as the leather can be damaged. This glove can easily be hand washed in cold water only, without the addition of detergent or conditioner. Please never dry your gloves on a radiator or in direct sunlight. Do not tumble dry.